Cosmix School of Makeup Artistry is a Makeup School that offers makeup training in all areas of artistry: Beauty, Fashion, Film, TV & Special Effects. This makeup school is dedicated to providing students with the technical makeup training for film, special effects, television, fashion, and beauty. In an ever-growing, constantly evolving industry, the faculty are all accomplished artisans actively working. Students are immersed in real-world projects where they gain on-set experience and develop confidence. The team of industry professionals share their real world experiences, skills, trade secrets and styles with ceaseless passion. Every instructor is a currently working professional artist ensuring that make up classes include the current trends with the latest techniques and products. Graduates work in a diverse range of careers, including working with photographers and models doing catalogs, fashion shows, and print advertising; working with musicians on music videos; providing freelance services for weddings and other special events; and working with actors and newscasters in film and television. Many make up school graduates realize their dreams and develop lucrative careers in our industry. 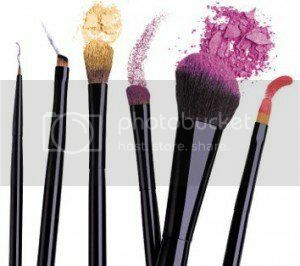 This school, for example, offers a number of different specialized makeup courses that allow students to focus on an area of expertise related to their makeup artist career goals. Cosmix School of Makeup Artistry is one of the leading schools of makeup artistry. Visit the website to learn more about courses in fashion, beauty, and special FX makeup artistry. Enter to Win a $400 MAC Cosmetics Gift Card!